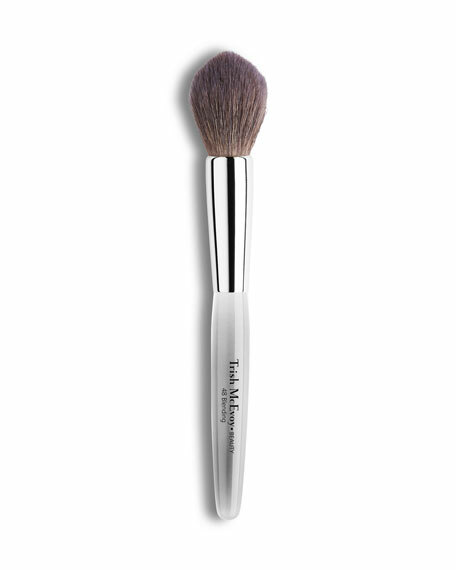 Trish's blending brush is shaped to precisely apply and blend bronzer,blush and highlighter. BrasRoll the brush into color. Tap off excess and test the color on the back of your hand to ensure you have the desired amount of pigment. Sweep color where desired, working in a circular motion. Blend your makeup to perfection.